Republican Rex Duncan of Oklahoma followed suit, warning there is a “war for the survival of America,” to keep the sharia from creeping into the American court system. In California, a Tea Party Rally in protest of an Islamic Center in Temecula, encouraged protestors to bring their dogs because Muslims hate Jews, Christians, women, and dogs. Republican politicizing of Islam and Muslims has deep roots from positions taken by their major presidential candidates (John McCain, Mitt Romney, and Rudy Guiliani) to unfounded accusations by members of Congress. In the 2008 presidential campaign, Republican candidate John McCain’s desire to credential himself with the Christian Right, whose votes, he aggressively sought, led him to embrace pastors of megachurches and televangelists with highly divisive views. When informed of Hagee’s extreme statements about Islam, McCain initially refused to disassociate himself from this pastor. It was only after the revelation of Hagee’s past anti-Catholic comments, in which he had argued that Adolf Hitler merely built on the work of the ”Roman Church,” which he called ”the Great Whore of Babylon,” that McCain finally severed his ties. Congresswoman Sue Myrick from NC and Congressman Paul Broun from Georgia charged in an abortive campaign that the American Muslim organization CAIR (Council on American-Islamic Relations) fostered the secret infiltration of Muslim student interns into key national security committees on Capitol Hill. The taint of foreignness and terrorism continues to brushstroke American Muslim as “the other.” But what do major Gallup and PEW polls reveal about American Muslims? They are one of the most diverse communities in the world, representing 68 different countries as well as indigenous African Americans and converts. Over the past few decades, the vast majority of American Muslims have become economically and increasingly politically integrated into mainstream American society. Muslims represent men and women spanning the socioeconomic spectrum: professionals (doctors, lawyers, engineers, and educators), corporate executives, small business owners, or blue-collar workers and laborers. In fact, 70 percent have a job (paid or unpaid) compared to 64 percent of Americans overall. … Muslim women report monthly household incomes more nearly equal to men’s, compared with women and men in other faith groups. Efforts to demonize Islam and Muslims have become a political football that now threatens the first amendment rights and freedoms not only of Muslims, but indeed of all Americans. Islamophobia is fast becoming what anti-Semitism is for Judaism and Jews, rooted in hostility and intolerance towards religious and cultural beliefs and a religious or racial group. The barrage of similar tirades, like the ones below, create an atmosphere of fear and hostility that is totally unfounded, given what we know about mainstream Muslims in America. Across America, Islamophobic hate speech and political grandstanding have painted all Muslims negatively, creating deep negative impressions among those who do not know Muslims personally. Major polling by Gallup and PEW shows that significant numbers of respondents question the loyalty of Muslim citizens and would approve policies that profile Muslims or require them to carry special identity cards. Hate speech has precipitated violent crimes against Muslims, Sikhs and other minorities of Asian and Middle Eastern descent who “look Muslim.” It has led to indiscriminate accusations against mainstream Muslim institutions (mosques, civil rights groups, political action committees, charities). Concerns for domestic security have unfortunately led to the abuse of anti-terrorism legislation, indiscriminate arrests and imprisonments of Muslims that compromise all of our civil liberties. The net result is a growing climate of suspicion and distrust. The social cancer of Islamophobia must be recognized as unacceptable as anti-Semitism. It is a threat to the very fabric of our democratic pluralistic way of life, one that tests the mettle of our democratic principles and values. Political and religious leaders, commentators and experts must do more to counter hate speech; they must lead in safeguarding and strengthening religious pluralism and mutual respect. 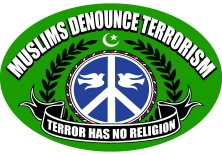 They must walk the fine line between distinguishing the faith of mainstream Muslims from the violence terrorists justify in the name of Islam. Blurring this distinction plays into the hands of preachers of hate (Muslim and non-Muslim, religious and political) whose rhetoric incites and demonizes, alienates and marginalizes and leads to the adoption of domestic and policies that undermine the civil liberties of Muslims and non-Muslims alike.